Always a quiet month, April 2018 was particularly quiet. Easter, ANZAC day, and school holidays coincided this year for the easiest April in ages. It presents a great opportunity to get back to my roots and do some everyday pub gigs and there is no better place to do so than the Melbourne Comedy Festival. This year I teamed up with my old mate Jack Levi (aka Elliott Goblet). Many comedy fans would remember Elliott Goblet from ‘Hey Hey It’s Saturday’. Jack and I did a run of gigs in Melbourne early in the month. It was like being a kid again. I love the freedom of those comedy room shows and judging from the reaction so does the audience. Jack has lost none of his famous dry and strange wit and along with MC Brad Oaks we had them rolling in the aisles. 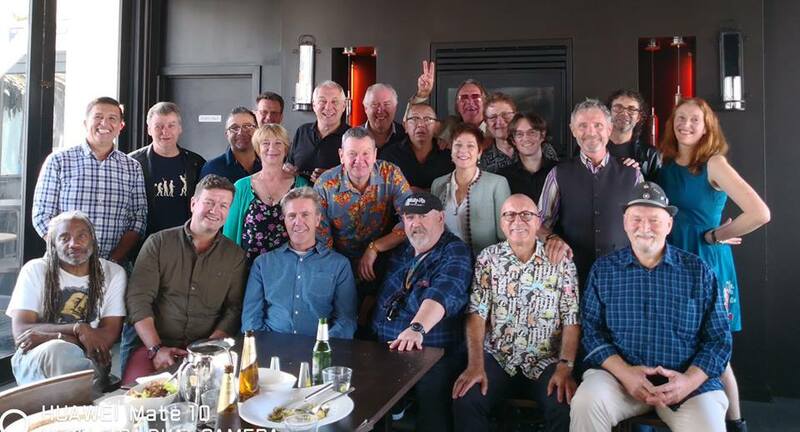 Jack also organises an annual comics lunch in April at Riva in Melbourne. It’s a fantastic event that brings us all together, unites young and old, and never fails to generate plenty of laughs and goodwill. This year was a big turnout. Good on you Jack! Whilst it has nothing to do with comedy I can’t surmise the month without mentioning my trip to Nepal. I travelled there with my 11 year old son Xavier as part of an annual school trip that raises money for worthy projects. It’s 3 years since earthquakes killed over 9000 people in Nepal and destroyed countless homes, schools and hospitals. What an amazing country and what beautiful people! If you ever get the chance to visit this extraordinary part of the world don’t let it pass you by. 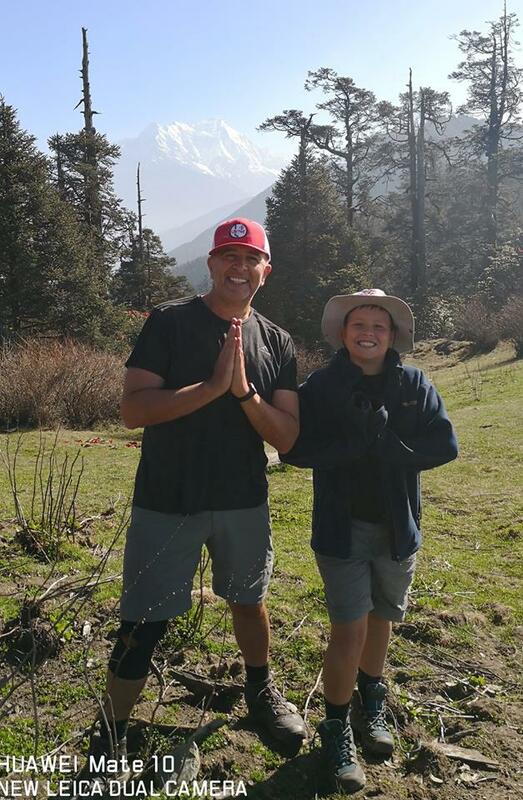 Along with a wonderful group of parents and boys we visited schools, opened a dental hospital, trekked through the Himalayas and swam with elephants in the jungles of Chitwan. Mind blowing. Standing on a 4200 metre plateau with Xavier and looking out to the snow covered peaks of Tibet is something that will stay with me FOREVER.